The Kano State Government has commenced the third round of its Ramadan free-feeding programme across various centres in 44 local governments of the state. Malam Mohammed Garba, the State Commissioner for Information, Culture, Youths and Sports, said this in an interview with the News Agency of Nigeria (NAN) on Friday in Kano. “We also carried out the second round on the eighth day of the Holy month, while the third and the last this year commenced on the nineteenth day of the month,’’ Garba said. According to him, the gesture is part of the state government’s efforts to ensure the well-being of the less-privileged, especially during the Holy month of Ramadan. 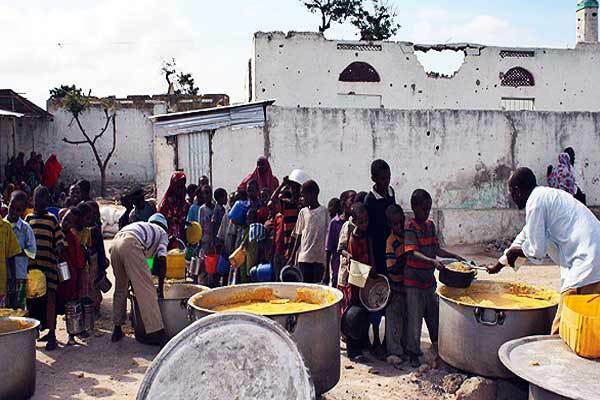 Garba said that over N300 million was earmarked by the state government for this year’s Ramadan free-feeding programme introduced by the previous administrations. “So far, we have recorded a lot of success during the first and the second rounds of the free-feeding programme..
“Therefore, we are hoping to record same during the last round. “The state government has made adequate arrangements to ensure the success of the programme across the 44 local government areas of the state throughout the period,’’ the commissioner said.